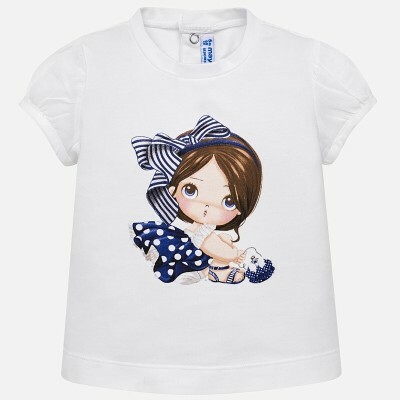 Short sleeved t-shirt with contrasting fabrics for baby girl. 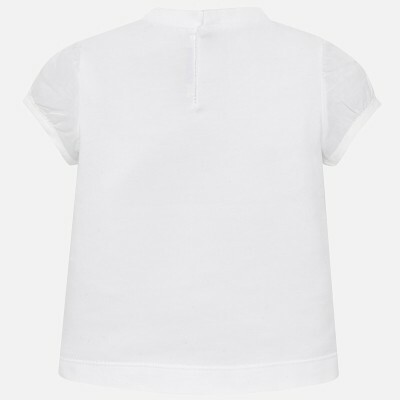 Fastening with hidden clasps which allow the item to be put on easily. Decorative elements: floral appliques, design on the front, glitter.